Why use an aviation specialist for my life insurance policy? Insurance companies are constantly changing the criteria that they use to underwrite pilots. There are a number of factors that insurance companies evaluate when underwriting a pilot for life insurance. In order to get the best available life insurance rate you need a broker who understands the criteria for pilot insurance and aviation. Does Pilot Life Insurance cover all risks or is it just for when I am flying? 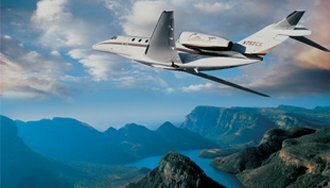 At Travers Aviation, we ask the insurance companies to issue a pilot life insurance policy that will cover all risks including aviation. We use traditional life insurance companies. Because the insurance company will cover all risks, your health history will be included along with your aviation in the underwriting process. How accurate are your life insurance quotes? We strive to provide you with an accurate quote the first time that includes your aviation. You can be assured that when Travers provides a pilot life insurance quote we will individually review your aviation and attempt to quote an accurate rate. If your rate changes due to unforeseen medical issues (i.e. higher cholesterol, blood pressure, weight, etc. ), we will work to find the best rate available. As a broker we are not limited to just one life insurance carrier. If there are any issues we will “shop” your insurance policy to as many as 10 different life insurance carriers to make sure you get the best possible rate. I received a great quote from one of the large online life insurance companies that advertise on the radio, why should I get a quote from Travers? While the large online life insurance companies that provide instant quotes are great for individuals in great health that do not fly, they can be misleading for pilots. These “quote engines” are designed to provide automated rates for the masses. Your quote may not reflect your aviation activity and you could ultimately be rated up for your flying. Start with a life insurance broker that specializes in aviation. Do I need my IFR to qualify for the best rate? In order to qualify for a Preferred Non-Tobacco rate with a traditional life insurance carrier, you do not need to have your IFR. However, the insurance companies underwriting criteria is subject to change, so it always good to check with a pilot life insurance specialist when applying for coverage. I am a commercial pilot and fly for hire can I qualify for a preferred rate? As a commercial pilot it is extremely important to work with a life insurance broker who understands commercial aviation. Preferred rates are available to many commercial pilots who fly for a living. It is imperative that you explain your flying activity as well as the type of aircraft flown on our quote form so we can find the best rate available. Do you offer rates to aerial applicators (“crop dusters”)? As an aerial applicator, pilot life insurance can be difficult to obtain. If you have had problems in the past finding life insurance for pilots, please contact Travers Aviation today. We have been working with agricultural pilots since we began back in 1950 and understand your occupation as well as what it takes to get a competitive life insurance policy. I have a local agent who handles life insurance, why should I buy from Travers? Too many times our clients come to us after they have gone through a 2 month underwriting process with a local life insurance agent only to find out that the rate they were originally quoted is not available because they fly. As a broker we work with pilots everyday and work hard to give you the right quote the first time. In order to obtain the best rate, a medical exam may be required for your life insurance policy. A local nurse or physician will contact you to set up an appointment. Our examiners are very flexible and will work around your schedule. You may schedule your exam for your home or office. Generally, the exam takes about 20 minutes and can be done at any time. We usually recommend taking the exam in the morning before you have had your breakfast or coffee. Remember to drink plenty on non-alcoholic beverages the day before the exam. Can I bind my coverage today? Each life insurance company is different. Most life insurance companies have a temporary life insurance agreement that will bind coverage up to $1,000,000 prior to your policy approval. 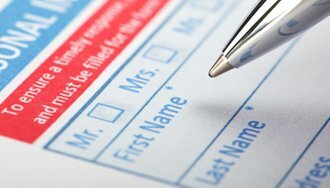 In order to bind temporary coverage you must submit at least 2 months of premium and a full life insurance application. If you wish to bind temporary coverage please let us know as soon as possible and we will send the required paperwork.